PSCWB Recruitment 2017 – Apply Online for Assistant Professor Posts: West Bengal Public Service Commission (PSCWB) has advertised a notification for the recruitment of 254 posts of Assistant Professor vacancies. Eligible candidates can apply online from 21st Aug. 2017 to 11th September 2017. Other details like age limit, educational qualification, selection process & how to apply for PSCWB Jobs are given below. Candidates should possess Good academic record, with at least 55% marks (or an equivalent grade B in 7 point scale wherever grading system is followed) at the Master’s Degree level in a relevant subject from an Indian University, or an equivalent Degree from an accredited foreign University. Good academic record, with at least 55% marks (or an equivalent grade B in 7 point scale wherever grading system is followed) at the Master’s Degree level in a relevant subject from an Indian University, or an equivalent Degree from an accredited foreign University. Maximum 37 Years. As on 01.01.2017. Age relaxation is as per WB Govt. norms. Rs. 15600-39100/- + Grade Pay : Rs. 6000/- PM. Candidates will be selected based on Written Exam/ interview. Candidate have to pay Rs. 210/- and Service Charge 1% of Examination Fee subject to a minimum of Rs. 5/- for online payment through debit/credit card plus lus 18% G.S.T. on convenience fee or Service Charge of Rs. 5/- only for Net Banking or Service Charge of Rs. 20/- only for payment through Bank counter (off-line payment). SC/ST candidates of West Bengal and Persons with disabilities (PWD) having physical disability of 40% and above are not required to pay any fee. Visit https://www.pscwbonline.gov.in/apps/home/ to Apply Online Application Form from 21.08.2017 to 11.09.2017. Starting Date for Apply Online : 21st Aug. 2017. Last Date for Apply Online : 11th Sep. 2017. Last Date for Payment of Fees : 12th Sep. 2017. PSCWB Assistant Professor Recruitment Previous Papers | PSCWB Assistant Professor Posts Previous Exam Question Papers are uploaded here for the applicants those who have applied for West Bengal Public Service Commission Recruitment 2017. Job seekers who are going to prepare for the PSCWB Assistant Professor Exam 2017 can download the PSCWB Assistant Professor Syllabus & Exam Pattern in a pdf format for Free of Cost from www.Jobsbadi.com. 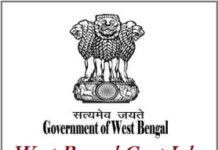 West Bengal Public Service Commission Previous Papers Free Download | PSCWB Assistant Professor Exam Previous Papers with Answers are available here in www.Jobsbadi.com to download for free of cost. Here on this website www.Jobsbadi.com, we have provided PSCWB Assistant Professor Previous Papers in PDF Format and easy to download. PSCWB Assistant Professor Model Papers are available in the PDF format. To get the good score and also beat the competitors score in the written examination these papers will help you to crack the vacancy. 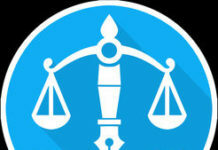 www.Jobsbadi.com Team has updated the free download links in the below section of this page. The subject wise previous papers for Assistant Professor exam are available on this page. By practicing the model papers aspirants will be able to get the good score in the written examination.